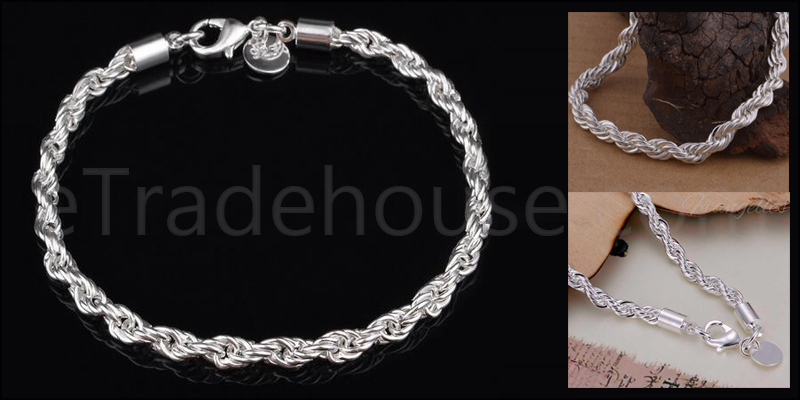 925 Sterling silver plated twisted rope cord 8 Inc.
100% new high quality 925 sterling silver bracelet. Material: 925 Sterling Silver Plating Alloy. 1x 925 Sterling silver plated twisted rope bracelet.